Jenn and I have been married for a little over eight years and together over fifteen. In all of those years together I'm not sure though we've ever had a year quite as great as 2017. 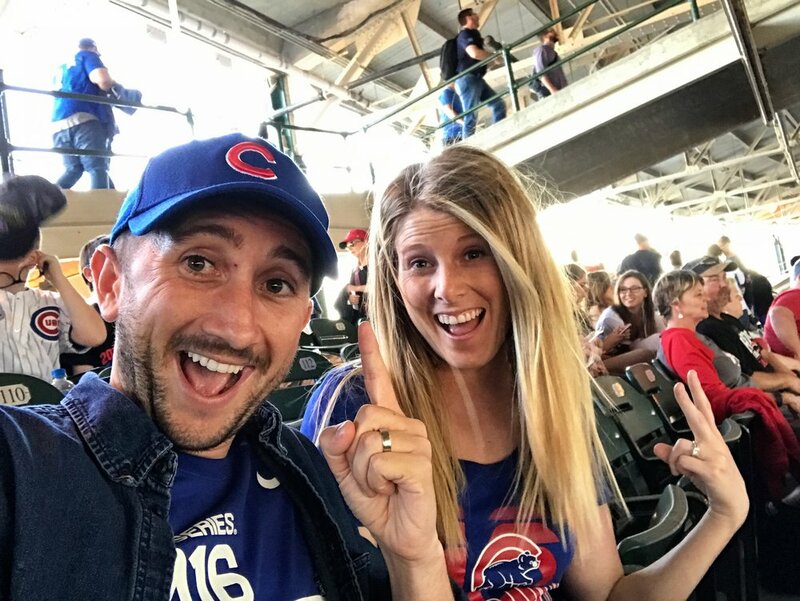 From start to finish it was one of those years that I know when we're old and gray we will be talking about our amazing adventures, Jenn's big career move and being back in Newport Beach. The year started out much like 2016 ended. Jenn and I both busy at work after a really nice holiday season. In fact, much of the early part of January was spent with both of us working late nights and over the weekend. I remember having brunch with Jake, Amy, and Ryan at the Craft House in Dana Point knowing that Jenn was going to be interviewing for a new job the following week and knowing our lives might be changing. In mid-January, Donald Trump became our President. I've written about both Jenn and my dislike for the man countless times. I wrote about how devastated we both were when he won in November of 2016. I don't know where this Russia scandal will end, I don't know if he will ever lay a brick for his dumb wall, or if anyone will take away his phone and get him off Twitter. I don't know if he's even sane enough to be President. What I do know is that for all of 2017 the man has proved over and over again his complete disregard for facts, for science, and for human decency. We continue to be embarrassed to have him as our President. Luckily it wasn't all bad news in January. After a huge dry spell, Jenn and I woke up early on a Sunday morning and watched Roger Federer win the Australian Open in an incredible 5-set victory over his rival Nadal. It was a joyous morning complete with high-five's and a lot of screaming before the sun ever came up. On the last week of January, we made our way down to La Verne, CA to watch Jenn's Dad receive his master's degree from the University of La Verne. We couldn't be prouder of him, and I'll never forget the look of pride Jenn had watching her Dad receive his degree on stage. 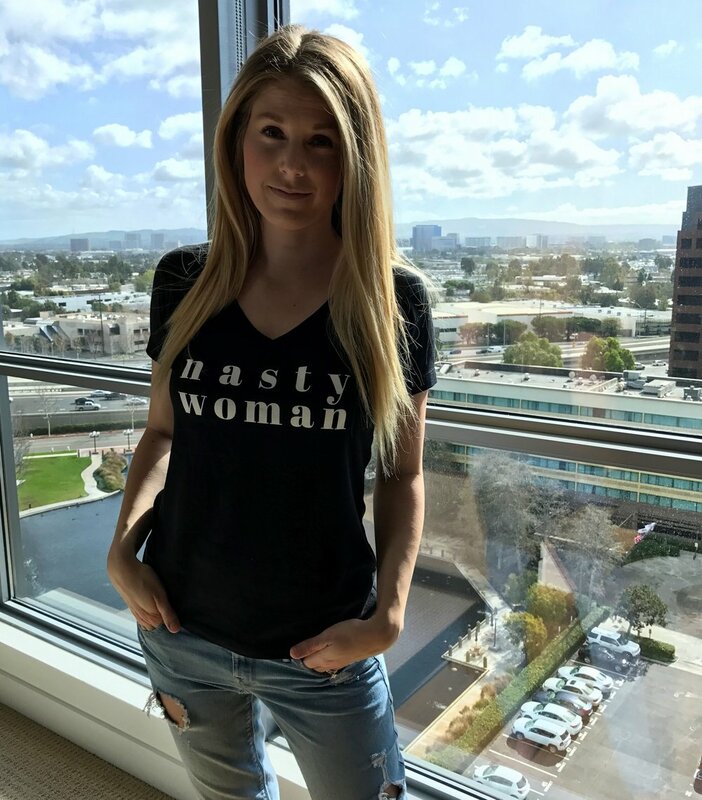 In early February, I received a text from Jenn saying that she thought she was about to receive an offer for a new job at a company in Carlsbad called ViaSat. The offer didn't come until later that evening when we were on a walk outside of our high-rise apartment. She took the call on a bench overlooking the pond and fifteen minutes later we were back in our apartment, popping some champagne, and celebrating the latest advancement of Jenn's career. I continue to be absolutely astonished by my wife. She's the most brilliant/driven woman I know and continues to push herself to be the best she can be each and every year. In mid-February, I went with Jenn to help pack up her old office at Taco Bell and get her ready for her new career at ViaSat. Jenn had a week off in between jobs. We spent a lot of that week looking for a new place to live, preferably one further south than our current apartment. We also enjoyed an incredible meal at Pelican Hill from a Groupon we purchased. On the last weekend in February we toured what is now our new apartments in Newport Beach and enjoyed our annual Oscar party at home. 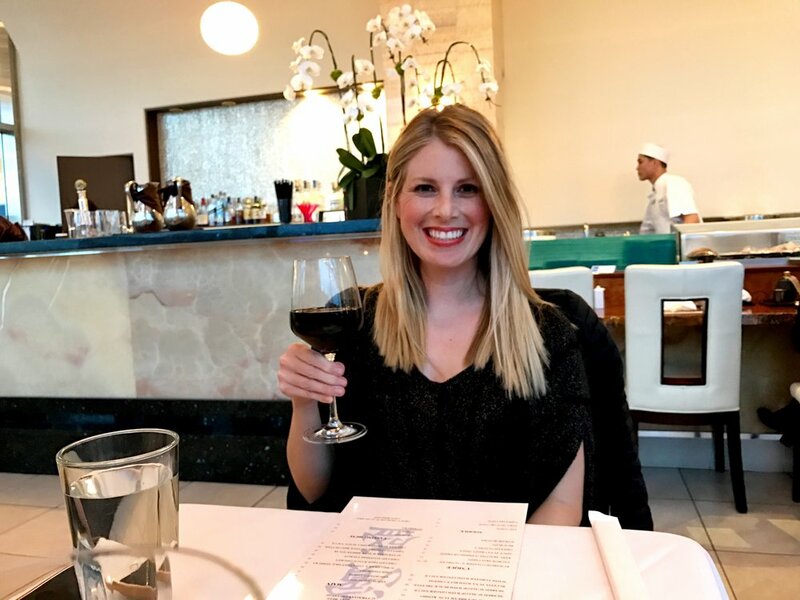 A couple of days before Jenn started her new job we enjoyed an amazing celebratory dinner at a sushi restaurant in South Coast Plaza followed by a musical. 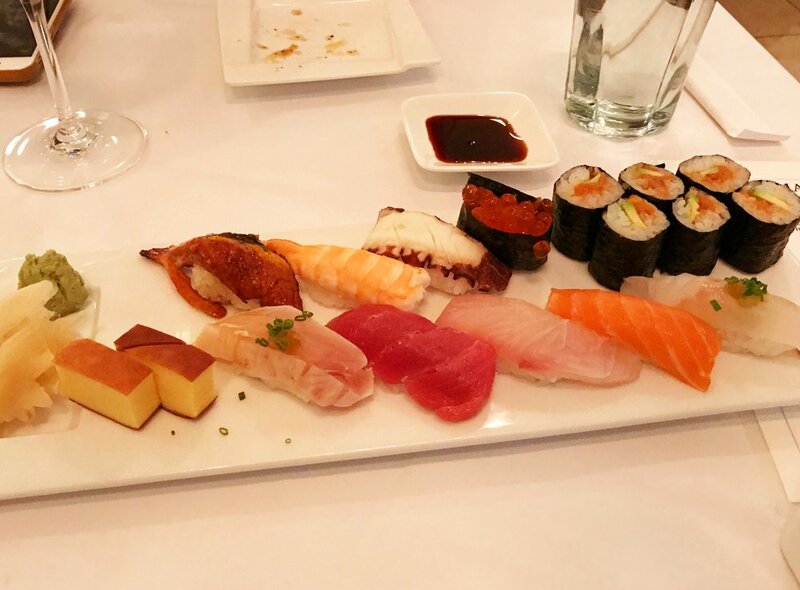 We often do steakhouses to celebrate big accomplishments, but this time we changed it up and went to a high-end sushi restaurant which was a nice twist. Jenn started her new job and began commuting to Carlsbad. Although distance wise it’s pretty far the drive itself is wide open and so far, she's actually really enjoyed the beautiful drive along the ocean. At the very end of March after Jenn had been at her job for a couple of weeks we packed up our high rise and moved back to Newport Beach. It helped get Jenn close to the toll road, making her drive a little easier, and got us back to the area we've called home for the longest stretch of our marriage. Although we were sad to leave, it felt like a return to home. We now have a beautiful one-bedroom apartment overlooking much of Newport Beach in a gorgeous complex that's walking distance to food, shopping, and of course the beach. Our move into the apartment was our easiest yet, and I'll never forget walking over to Wahoo’s and grabbing a beer for me and a wine for Jenn and feeling like we had arrived back home. In early April, we put the finishing touches on what would become known as our Grand Adventure 2017 throughout Asia. This trip took far and away the most time to plan/book/revise/re-book. But in early April we finalized our stops and hotels and began the process of selecting tours and excursions to partake on. On the 15th of April, we went to Riverside for our annual Passover cedar one of my favorite holidays of the year. It did not disappoint. 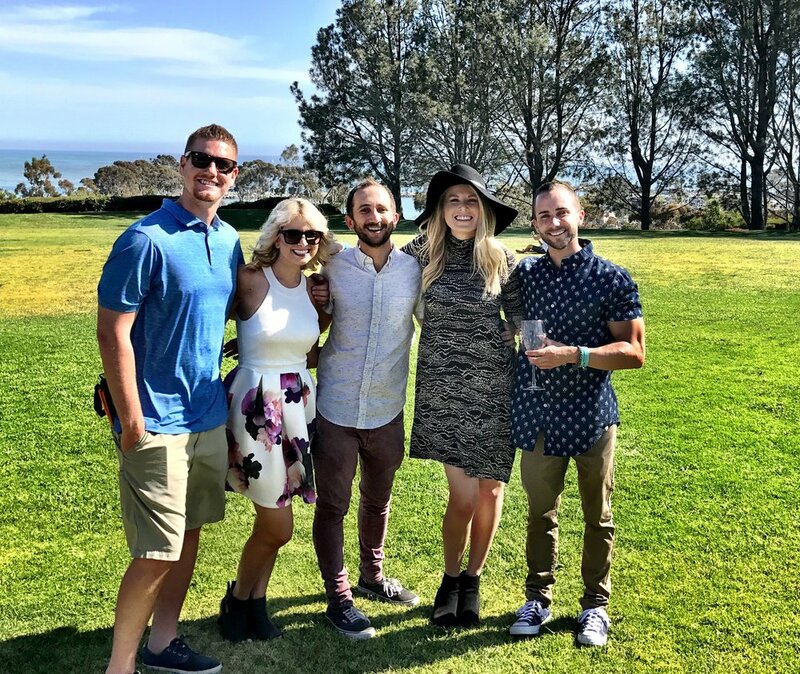 The following weekend we met up with Jake, Ryan, and Amy and went to a wine festival in Dana Point. Jenn and I have been to quite a few festivals in the last couple of years and this one was really fun. We got there about a half hour after it opened and stayed until the last few minutes of the festival. It was a gorgeous day out and we enjoyed a ton of wine (probably too much) and some great food. For Easter Jenn and I made a waffle brunch which was to die for. Jake's birthday, the last day of April we met up with all of my siblings and Jake/Amy's friends and had brunch at Jake's favorite restaurant in the OC, North Italia. We had never been to brunch there before, and haven't been back since, but I hope we rectify that because it was great. Although not the most fun weekend, in early May we went to the Newport Beach Travel Clinic to get medications for our upcoming trip to Asia. What Jenn did not know is that trip to the clinic was also to get us medication for Peru, a trip I would surprise her with a month later. We got some shots, antibiotics, and altitude medication. The following weekend we left Orange County and flew off to Chicago O'Hare airport. Jenn had a 3-day conference in Chicago for her work, so we went the weekend before to experience Chicago for the first time. It couldn't have gone better. We stayed in the center of town in a Hyatt and had perfect weather. 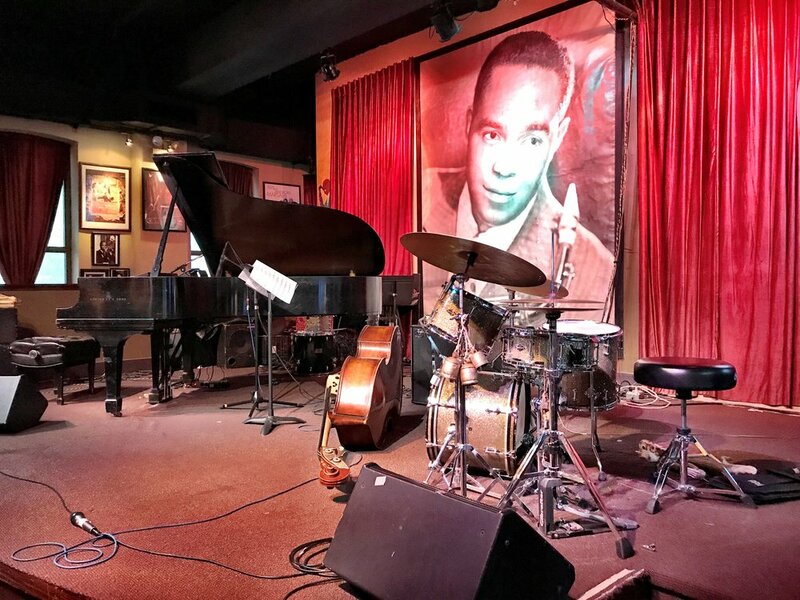 We walked around all of Chicago, enjoyed some amazing cuisine including deep dish pizza, went to an incredible Jazz Club and even saw a Cubs game. Jenn and I both love the big city vibe, and Chicago far exceeded our expectations. I would go back to Chicago in a heartbeat. It was only two weeks after Chicago that we were back on the road, this time over the Memorial weekend. 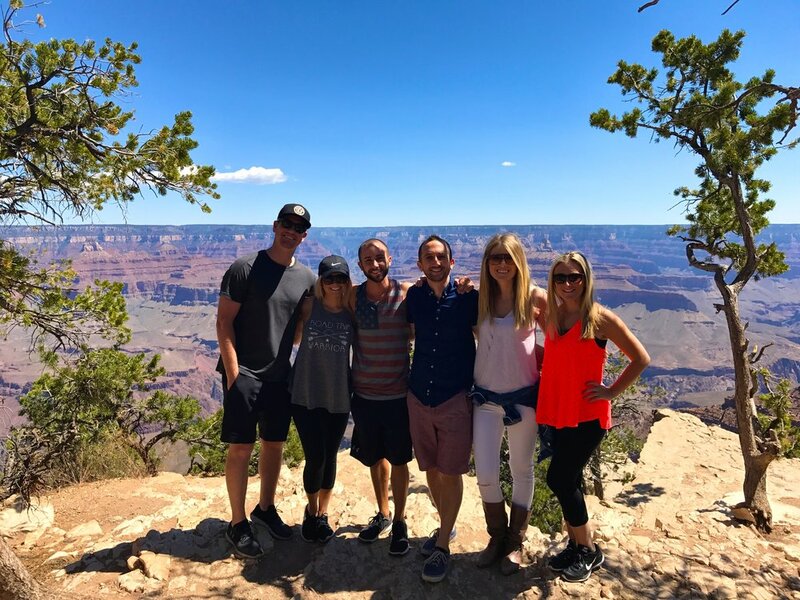 We met up with all of my siblings and Ryan and rented a van to drive to the Grand Canyon. For some reason, both Jenn and Jake have been wanting to plan this for years, and we finally made it happen. We drove from Riverside straight to Flagstaff, Arizona hitting a ton of traffic in the last fifty miles of the drive. Luckily, we made it to our hotel and the next morning we spent a full day hiking through the Grand Canyon. We left Northern Arizona and drove to Scottsdale for two nights at a beautiful Andaz hotel before coming home after a long but fun weekend. Even though we didn't travel anywhere in June, we had a pretty busy first month of summer. Our apartment complex which had just finished being built opened up their summer pool service. Jenn and I spent many mornings and afternoons enjoying the beautiful Newport Beach weather, reading/listening to books and getting some sun. We also tried Blue Apron for the first time, a meal delivery service where they send you ingredients and recipes to make dinner with. We ended up doing at least five more throughout 2017 and really enjoyed them. In late June, we went to the Dana Point Food, Wine and Music Festival. It wasn't nearly as good as the earlier wine festival but we had a great time and got to enjoy some fun cover bands while we sipped wine and eat various cuisines from throughout Orange County. We finished off June watching La La Land one evening on the great lawn of our apartment complex. They provided seats, popcorn, and candy combined with our favorite movie of 2016. We could get used to living here that's for sure. One of the craziest moments of the summer was in early July. 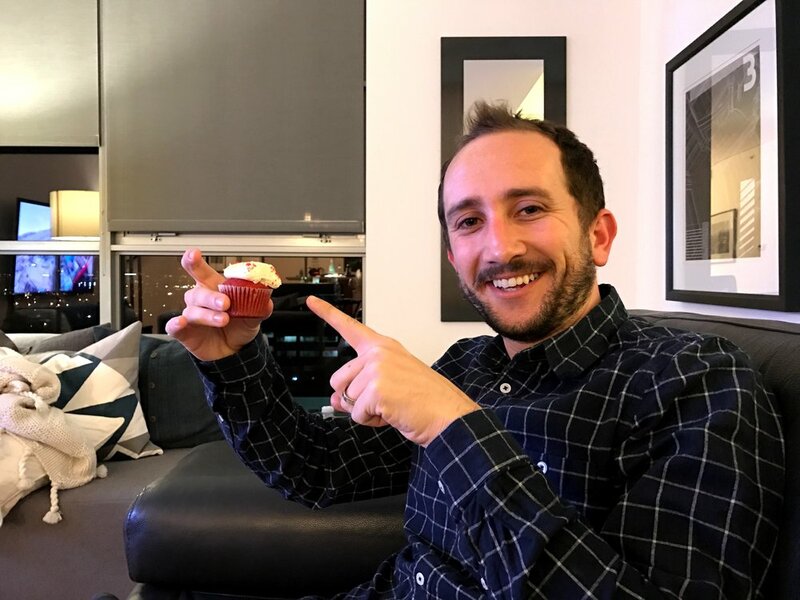 Jake, Amy and Ryan came down to our apartment for brunch at Red O and for Jake to show off his latest splurge, a DJI Spark drone. This drone is amazing, easy to fly, an awesome camera, and the ability to find its way home if it loses connection. Well at least it’s supposed to find its way home. We set it up on what our community calls the great lawn and after a couple residents marveled at it, Jake flew it up and out of the community to try and get a great view of the beautiful summer day. Thirty seconds later, the drone took off and never came back. We spent a couple of hours scouring the streets of Newport Beach looking for it with no luck. Luckily the story ended happily with Amazon sending him a new drone, no questions asked. Summer time in Newport Beach is amazing. We barbecued quite a bit in the communal BBQ areas. We watched Federer win another Wimbledon title in the wee hours of the morning. We stayed up late to watch the premiere of the seventh season of one of our favorite TV shows, Game of Thrones. On the last days of July with summer in full swing, we packed up our bags, grabbed an Uber to take us to LAX, and went on an amazing adventure to Peru. Our time in Peru went by quicker than I ever expected. I was worried that we'd get hit with altitude sickness, or feel unsafe in Cusco. Looking back not only did we feel safe but it was an experience of a lifetime. We ate incredibly well. The JW Marriott had an incredible restaurant, and we were able to eat at a couple of places in Cusco that were fantastic. We had incredible adventures like going to the Sacred Valley or whitewater river rafting through Urubamba River. But the pinnacle of the trip was boarding the Hiram Bingham and going to Machu Picchu. 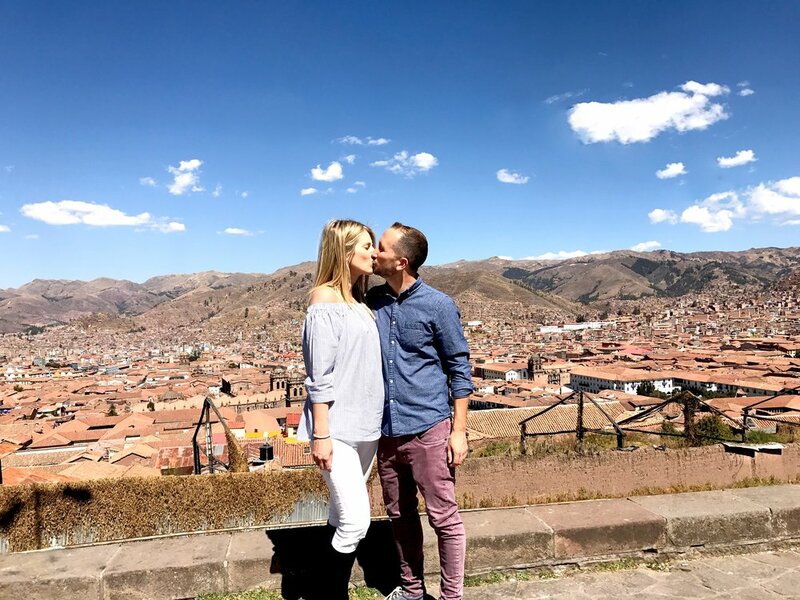 All the while we were able to celebrate Jenn's 30th birthday and my 31st in the beautiful city of Cusco. We came back a day after Jenn's birthday and enjoyed a beautiful August in Newport. One of the highlights was going to Pacific Wine & Food Classic in Newport Dunes. We walked down and enjoyed a plethora of great food, drinks, and dessert. From what I remember we also walked home afterward, but that part is less clear. The next weekend we were back down at the Newport Dunes where we went on a Duffy for Amy's birthday, popping champagne and basking in the beautiful coastal weather. As if going to Peru and Chicago wasn't enough for our summer, we ended summer with a quick trip to New York for the US Open. As Machu Picchu was on Jenn's bucket list, so too is going to all four tennis grand slams for me. We made our way from Santa Ana to LaGuardia after a last-minute flight change (to avoid the hurricane/flooding in Houston) and once again fell in love with NYC. We walked every day as much as we could, enjoying the incredible cuisine, beautiful architecture, and of course the amazing Central Park. We went to the US Open twice. Once for a day match and once again for a night match. We were so lucky to be able to watch Federer take home a win in the round of 16 under the lights of Arthur Ashe stadium. I'm still in shock that we were so fortunate to be able to experience New York and the US Open. When we arrived back from New York it was back in work mode. While we were busy working, my entire family Ryan went off to Italy. A couple of days into the trip, Ryan proposed to Amy in front of the Trevi Fountain and the rest is history. In October of 2018, the two are set to be married. Later in September, we went to Ryan's parent's house for their engagement party and a couple of weeks after that Jenn and I took Ryan and Amy to Mario's to celebrate. The rest of September was busy with work. I was awarded a developmental opportunity as a Sr. Project Manager which was exciting, albeit a bit stressful. The Emmy's happened in mid-September and like most years, we had our annual Emmy's party. And like most year's I took home the crown. September quickly turned into October and any time that we weren't working we were spent prepping for our big trip to Asia in November. We spent an entire Saturday hunkered down in a conference room at our apartment complex finalizing every last detail. In mid-October, we drove down to Hollywood to meet up with my siblings to go on the Warner Bros studio tour. I didn't even know that existed but Amy has always wanted to go and received it as a gift for her birthday. It was actually pretty neat, and we couldn't take a ton of pictures on the set of Friends before leaving. A couple of days before we left for Asia we did our annual pumpkin decorations. For the second year in a row, we decided to carve pumpkins instead of decorating and they once again turned out beautifully. And just like that, November 1st rolled around. The prep work was done, the planning had finally finished and we were off for 27 days, in a trip that fundamentally changed both of us forever. We started our journey in Tokyo which quickly moved up the charts as one of my favorite cities in the world. It's beautiful, clean, full of amazing history and incredible food. From there we went to Hong Kong a city that is such a mash-up of Chinese and foreign cultures. It too had great cuisine and both a sprawling metropolis and beautiful history. From Hong Kong, our journey took us to Hanoi, Vietnam. There we drove for hours to the beautiful Halong Bay, one of the most picturesque places we've ever been. And who could forget Jenn holding on for dear life on our motorbike food tour? Then we were off to the remote country of Cambodia, to Siem Reap to visit one of Jenn's bucket list items, Angkor Wat. I’ll never forget flying into the small airport, jumping in the back of an old Hyundai going down one of the only paved roads to our hotel. The next morning, we woke up at 4 AM to watch the sunrise at Angkor Wat and an hour later it started pouring. We went back to our hotel for breakfast and when we got back it turned into a beautiful day and we were able to experience one of the most magical sights we’ve ever seen. We only spent three days in Cambodia before boarding a plane to Thailand where we spent a week, first in Phuket and then to Bangkok. We needed the beach and relaxation more then we knew when we originally booked the trip. We had amazing weather and were able to enjoy some fun in the sun before going to Bangkok. I’ll be honest I was least excited to go Bangkok of any destination on the trip and I couldn’t have been more wrong. Not only was our hotel incredible, but the city was great and I hope that one day we’re able to go back. The trip ended in New Delhi, India. We had a lot of culture but nothing compared to the feeling of being in India. It was overwhelming at first but became normal quickly. 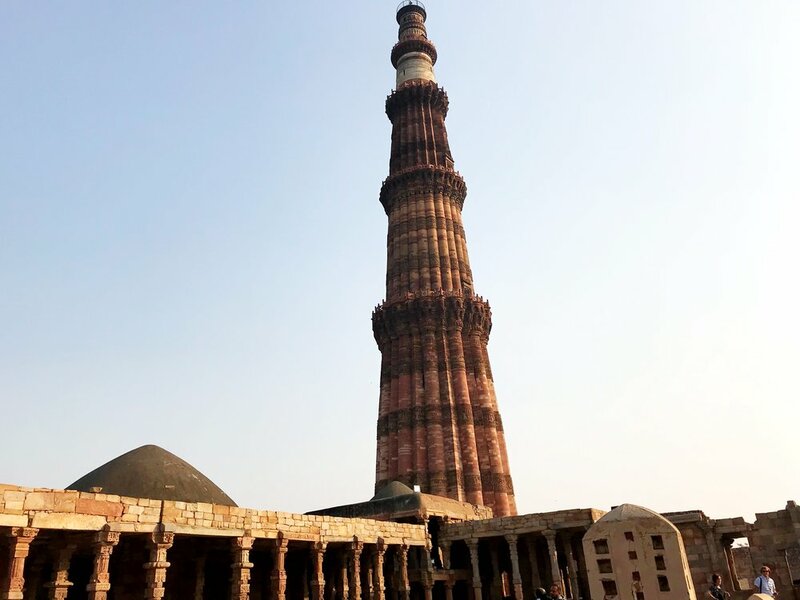 We got to experience a lot in the four full days we were in Delhi. 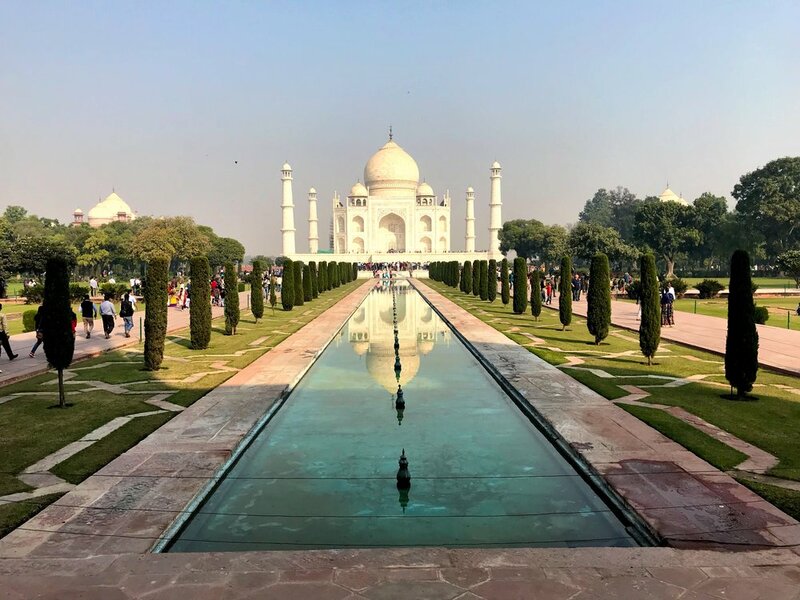 One of those days was to cross off another bucket list item, the Taj Mahal. Getting there was an experience, but once we were there, it was hard to make it feel real. It almost felt like we were living within a postcard for a couple of hours. We got to experience so much culture. 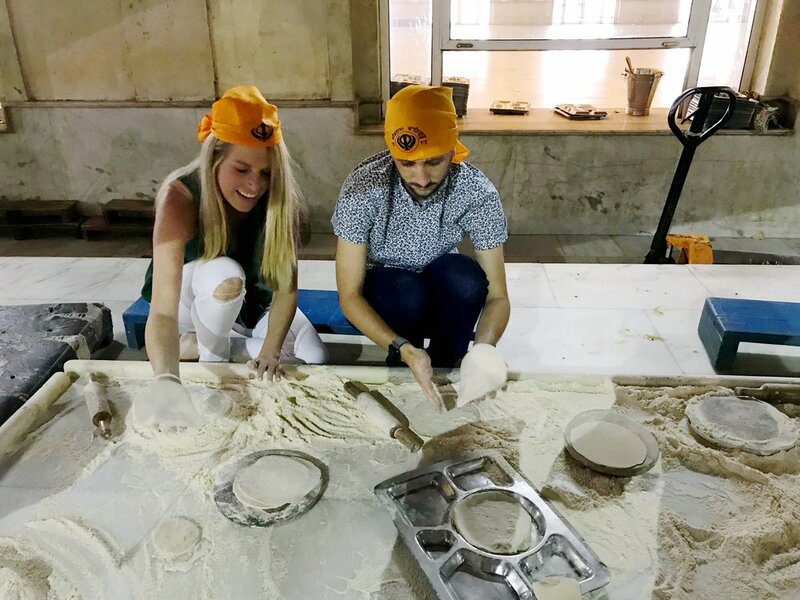 My lasting memory of Delhi will be making bread with a group of volunteers at a Sikh temple, something that neither of us will ever forget. We flew home from Delhi both exhausted and exhilarated. We live in an incredible world, and we’ve been blessed to be able to travel to a ton of different places. But never has a trip broadened my perspective on the world quite like this one. More than any sight, meal or excursion, the lessons we learned on this trip will last us a lifetime. All of the Starbucks mugs we collected on our Grand Adventure. We had a ton of work to catch up on in late November which wasn’t helped by us both coming down with small colds. We decorated our apartment for Christmas, well Jenn decorated and I assisted. She once again did a beautiful job and it made coming home in December that much better. The rest of December was packed with activity. Going to a cabin in Lake Arrowhead. Going down to San Diego for Jenn’s work party, followed by a celebration of my Dad’s 60th birthday brunch. 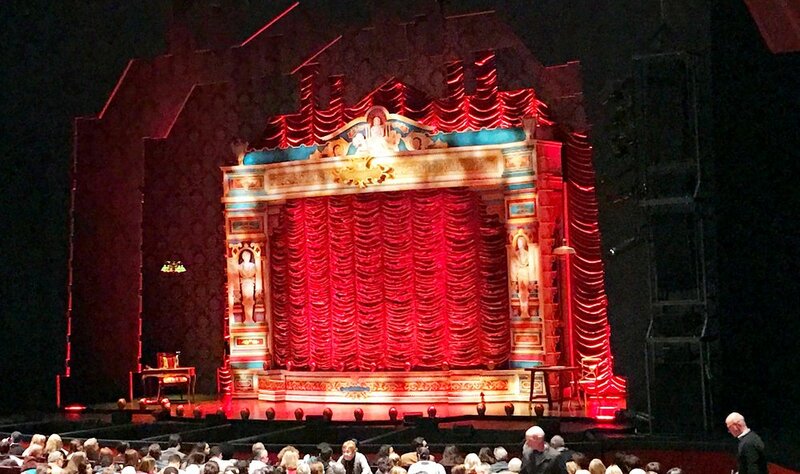 For the second year in a row we ate at the restaurant Vaca and saw The Christmas Carol at South Coast Repertory. The year ended with a great day of Christmas celebrations and a calm week off of work where Jenn and I could rest, rejuvenate and get ready for 2018. Unlike last year, we stayed in for New Year’s Eve playing board games (Pandemic) and eating our favorite meal, Chipotle. After such an adventurous year it was nice to have the last week of the year be nothing but relaxing and enjoying our beautiful home. 2017 was a year of two halves. On a macro scale, 2017 wasn’t a great year. It felt like the world became more divided, angrier and more afraid for the future. On a micro scale though, I’m not sure Jenn and I have ever had a better year. We traveled more in 2017 then we ever have, and every trip was amazing. But even the times when we weren’t traveling, we had a great year. We ate at home more in 2017. We cooked together more in 2017. We played more board games, went to see more plays, and made efforts to spend more time together then we had in past years. It was an amazing year, and it makes me even more excited for the future grand adventures that our lives have in store for us.